Anytime you are shopping for a new vehicle, one of your first questions is likely going to be about what’s under the hood. No matter what kind of vehicle you drive, you probably want its engine to be respectable, at the least. After all, a vehicle is really only as good as its engine. Check out the engine specs of the popular 2019 Honda Pilot crossover SUV. 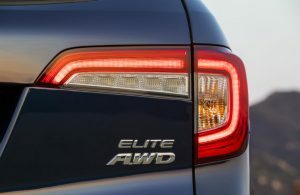 What engine does the 2019 Honda Pilot have? Unlike many vehicles, every trim level of the 2019 Honda Pilot comes with the same engine. This way, drivers with all budgets and preferences can enjoy the top engine available. The 2019 Honda Pilot comes fitted with a 280-horsepower 3.5-liter i-VTEC® V-6 engine with direct injection. This kind of motor is certainly powerful enough to give anyone a thrill as they cruise down the highway. The LX, EX, and EX-L trim levels all come with a six-speed automatic transmission, while the Touring and Elite models sport a nine-speed automatic transmission with paddle shifters. All trim levels come available with front-wheel drive and all-wheel drive. There is so much more to learn when it comes to the 2019 Pilot. This crossover SUV is one of the most popular in its class. Come down to Matt Castrucci Honda in Dayton to check out the Honda Pilot for yourself. Our salespeople will go over everything else you need to know. We will answer any of your questions and go over pricing details, financing and leasing options, and available features We hope to see you soon! This entry was posted on Wednesday, January 30th, 2019 at 8:21 pm	and is filed under Honda Pilot. You can follow any responses to this entry through the RSS 2.0 feed. Both comments and pings are currently closed.